As explained on the Accreditation page of The Quilling Guild’s website, “The Higher Level of Accreditation demands a standard of quilling knowledge and ability which can only be achieved after many years of practice.” To enter, I had to produce a sampler folder comprising 190 different variations of recognised quilling techniques, all of which were subjected to stringent examination by a panel of experts during the assessment process. 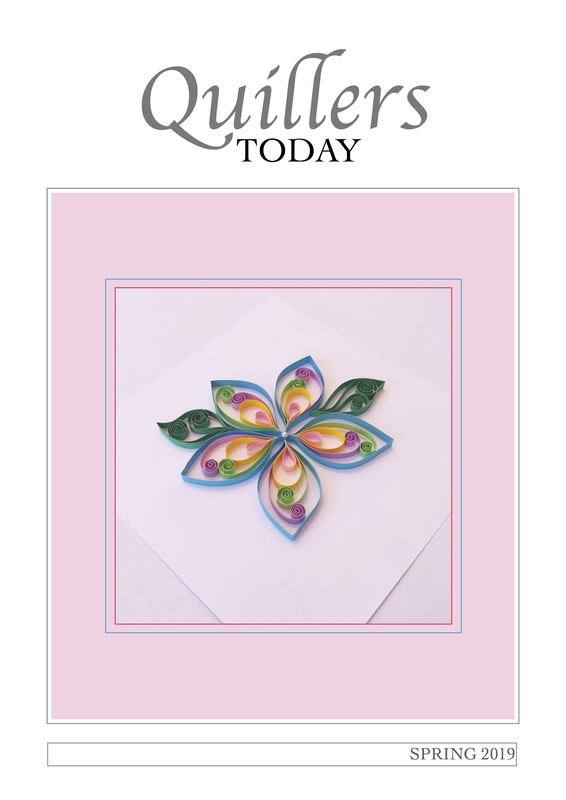 To accompany this, I was also required to submit up to five pieces of original quilled artwork to demonstrate a broad scope of expertise in different types of quilling. Wanting to give the process my very best shot, I opted to submit the full five. It was a massive task. The sampler alone took months to complete, as I strove for perfection one shape at a time. For the Accreditation, all the sampler shapes have to be glued on to black paper, which is guaranteed to show up any accidental blobs of glue you leave behind. Needless to say, the assessors will deduct marks if your shapes are not neat and regular, and also if any glue is showing. 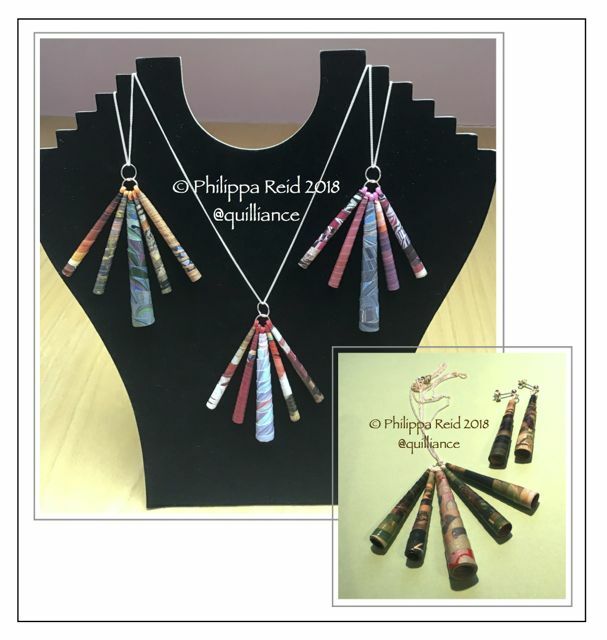 You are supplied with a comprehensive information pack which describes in detail exactly what the assessors are looking for in every technique – and you have to dig deep into your own quilling experience/knowledge to come up with additional variations which not only conform to the guidelines but also differ significantly from each other. The samplers are divided into six technique categories: Closed Loose Coils, Wheatears, Open Coils, Alternate Side Looping, Tight Coils, Fringed Flowers/Pom Poms and ‘Other Techniques’ such as zig-zagging, bandaging and crimping which have their origins in antique quilling. 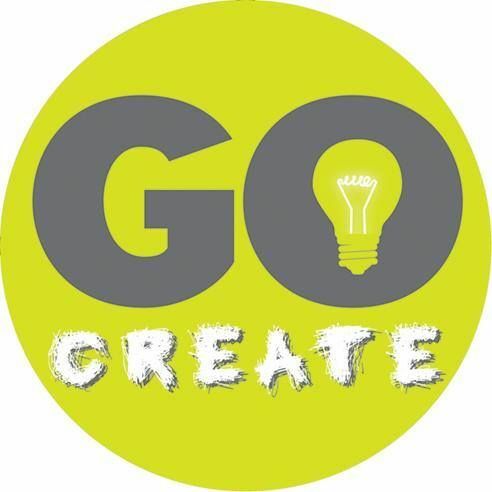 In order to pass, you have to score at least 50% of the possible marks in each category. Accreditation cannot be awarded if marks for any one technique fall below 50%. I did not pass first time. I fell short of the required mark in one of the categories – Closed Loose Coils – so had to re-submit that section. But, far from being a disaster, there were actually two very positive aspects to this. Firstly, I was able to ‘bank’ the marks I had already attained in all the other categories, so there was no need to do those over again. 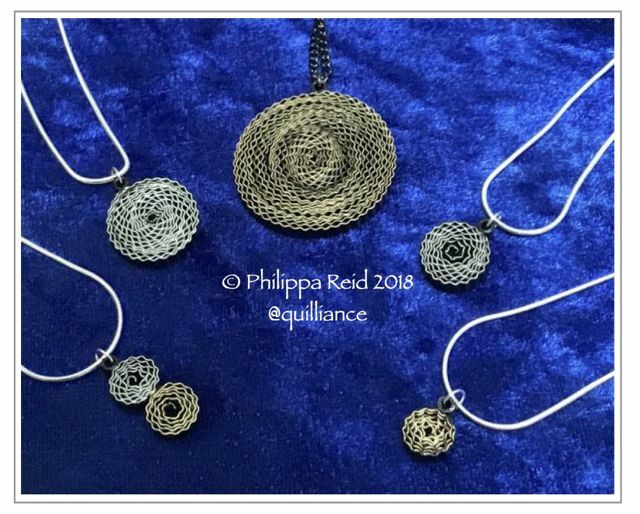 Secondly – and perhaps most important – I had learned so much and gained such a lot of valuable practice in tackling my first batch of coils that I knew I could do better second time around. So, I re-submitted my Closed Loose Coils, and opted to repeat my Open Coils, too, because I was confident that I could improve on my original mark. As any quiller will know, Closed Loose Coils and Open Coils are essentially similar in terms of the rolling technique that is required. 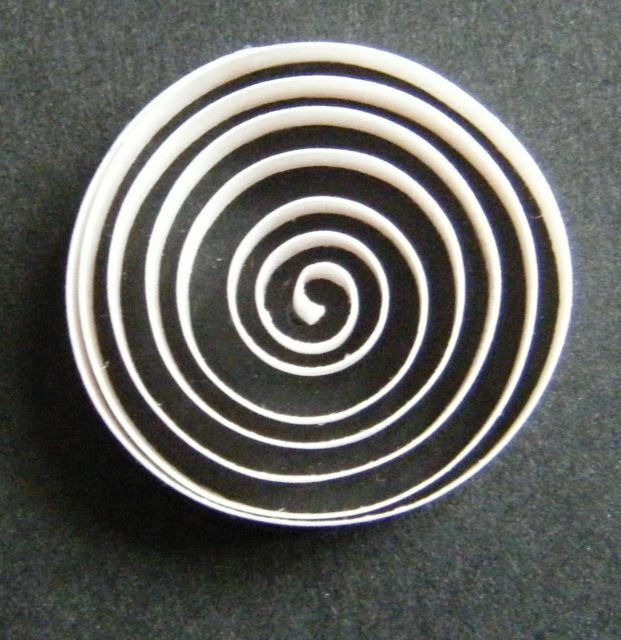 For the Accreditation, you need to create spirals which are perfectly round, begin in the perfect centre, and have ‘spiracles’ (the ever-increasing circles which form a coil) that are perfectly equally spaced. Easier said than done, especially in the case of Closed Loose Coils which have to be made using 22.5 cm (9 inch) strips and must turn out no less than 13 mm (half an inch) in diameter. The coil on the left was my first attempt (glued down with trembling hands at the height of a storm, just at the moment of a power cut – but that’s another story!!). The coil on the right was my re-submitted version, and turned out much closer to what the assessors were looking for. My ‘light bulb’ moment occurred, not as you might expect during the power cut (!! 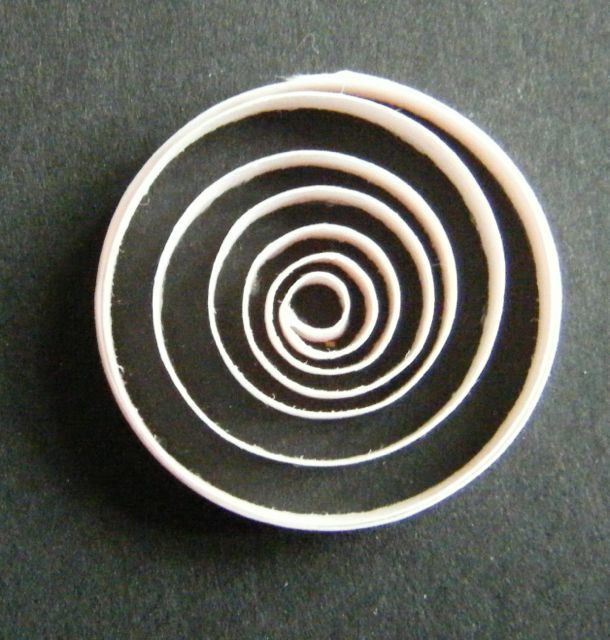 ), but afterwards when I realised the true meaning of the words “a perfect spiral must begin in the perfect centre”. From that moment on, I saw the light and began to perfect my finger-rolling technique. 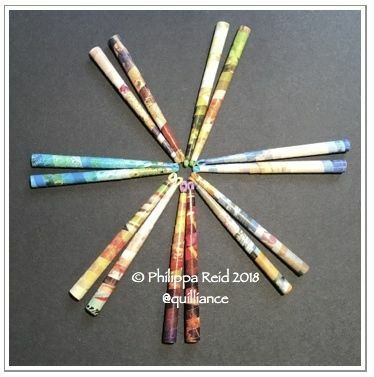 Now, I know that the question of whether or not to use a quilling tool has always been a controversial one. Personally, I have never used a slotted tool, as the kinked appearance of the centres of the resulting coils has always been unacceptable to me. I approached my Accreditation challenge as a firm believer in the needle tool, but even this did not give me the means to produce “perfect spirals that begin in the perfect centre”. So, kicking and screaming, I reluctantly converted to the ranks of those quillers who roll with their fingers. I have never looked back. I learned that if you condition a strip thoroughly with your fingernail (on both sides) before rolling, and then roll it up roughly just to get a basic degree of curve in it, you can then unwind it, form a proper centre, and re-roll gently between your fingers to form a true spiral. I learned to roll and re-roll coils repeatedly, adjusting the tension as necessary. Eventually – and it did take practice – I began to witness the miracle of near-perfect coils forming themselves in my hands. Absolute perfection is, of course, impossible – but I learned that if you have a clear picture in your mind of exactly what you are aiming for, significant improvements are absolutely within your grasp! Applying this approach to my Open Coils, too, I managed to increase my Accreditation marks to the point where I actually achieved a Pass with Distinction!! Make no mistake: the whole Accreditation process was very, very challenging. However, looking back on it all, I can honestly say that it was very, very, very rewarding too! Of course, the samplers were only part of my Accreditation story. I also had to submit my five pieces of artwork which, although accounting for 20% of the overall marks, were crucial to the overall success of my submission. 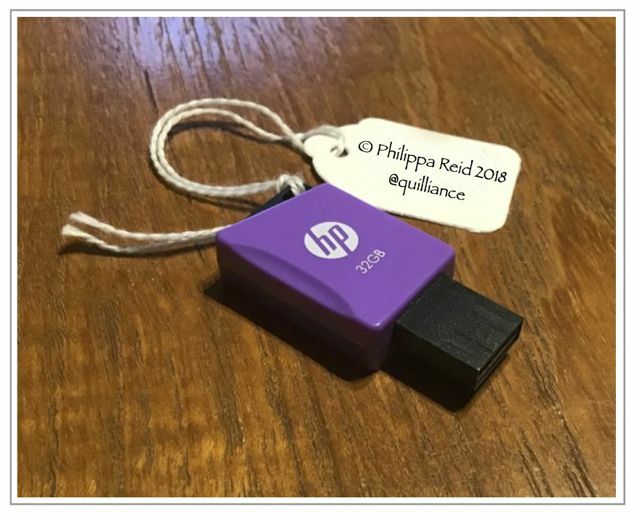 Without telling you what they were for, I have already featured some of my pieces here on the blog. You can read more about this piece, which I’ve called “A trio of seahorses”, here. You can read more about this piece, “Bordering on antiquity”, here. 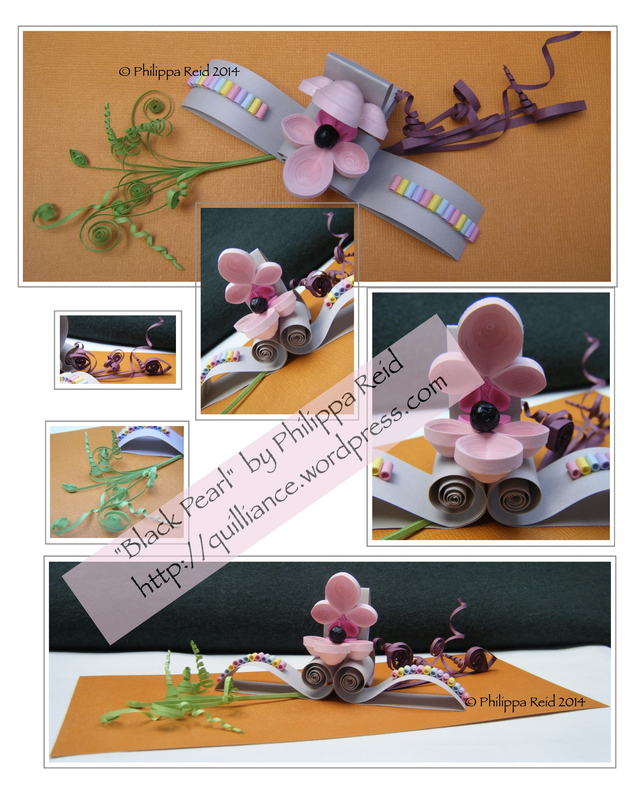 I wanted to include a 3D piece as well as quilled pictures, so created this little paper sculpture called “Black pearl” – more details here. 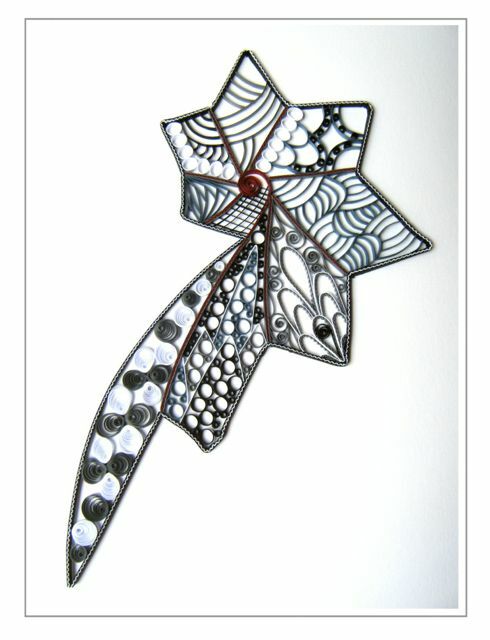 Plus I also included this piece which was my attempt to translate Zentangle™ patterns into quilling, using ‘on-edge’ graphic techniques. Finally, you’ll find details of this quilled mosaic on my old blog here. 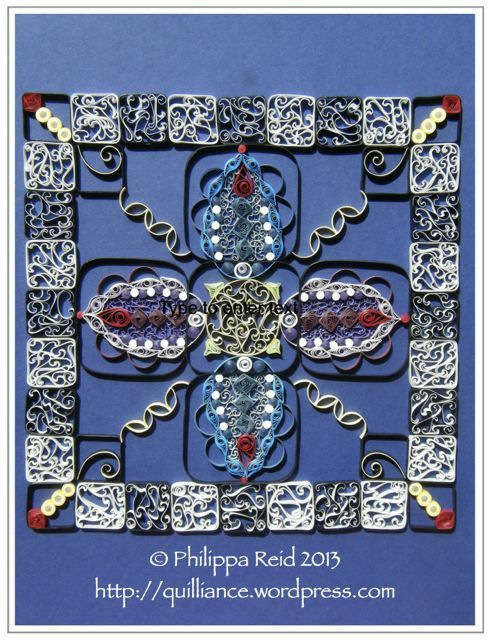 I am very proud to say that my Accreditation work will be placed on show at The Quilling Guild’s forthcoming Annual Meeting in York on 17th September 2016. After that – who knows? 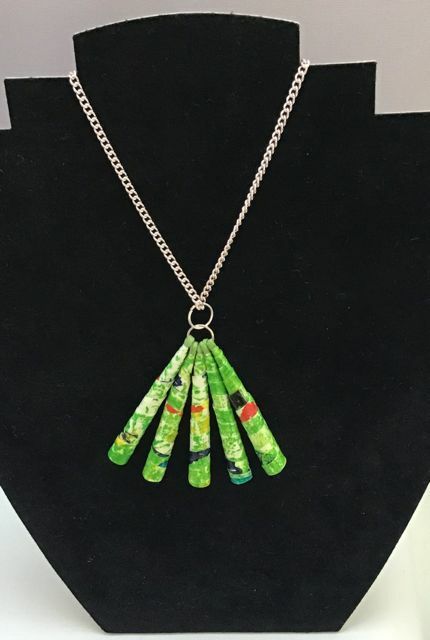 I plan to focus on raising awareness of quilling as an art form and passing on what I have learned to others through demonstrations and workshops. 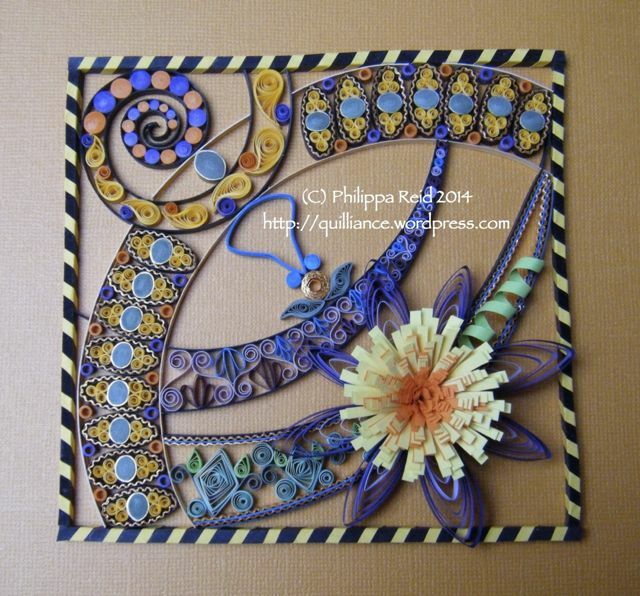 I am very much looking forward to demonstrating quilling as part of the Taunton Live 2016 arts festival in July, where some of my quilled pictures will also be exhibited. Plus I have another exhibition to prepare for in Spring 2017 at Gallery 55 in Hartley Wintney, Hampshire.